Janesville...Wisconsin's Great Outside, offering fun for your entire family. We invite you to visit our 2,500 acres of beautiful parkland, stay at one of 9 comfortable lodging facilities, and soak in our 20 acres of breathtaking botanical gardens and 9 historic districts. Twenty percent of Wisconsin's buildings listed on the National register of historic places can be found in Janesville. End your day with live theatre, an award winning water-ski show, unique shopping or dining at one of over 100 restaurants. The Janesville Area Convention & Visitors Bureau is an independent non-profit 501(c)(6) corporation. We are not a division of the City of Janesville or Forward Janesville. During 2015, the JACVB will turn an investment of $450,000 in room tax revenues into $ 12 million dollars of economic impact through meeting/conference and motor coach activity alone. Each dollar invested with the JACVB results in $25 being spent in our local economy. We're here to answer questions, point people in the right direction, and create informational pieces that help travelers find their way to and around Janesville. We provide a "one-stop shopping" point of contact and act as a liaison for meeting planners and motorcoach operators. We show our pride in Janesville at every opportunity. Through tradeshows, sales calls, presentations, and organization affiliations, we spread our Janesville spirit and invite everyone to visit Janesville and experience it for themselves! We'd like to help anyway we can! Whether it's bringing a friend to Janesville or a conference for 500 people, the JACVB can provide assistance and ideas to help make it a special visit. 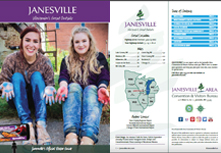 If you're looking for something to do for the day, a weekend or longer, we have extensive information on Janesville, Rock County and our great state! What is the JACVB Mission? The Janesville Area Convention & Visitors Bureau (JACVB) exists to lead, support and promote the convention and visitors industry in this area by promoting Janesville, Wisconsin's Park Place, as a prime visitor destination thereby creating a positive economic impact on the community and enhancing the quality of life. The JACVB is funded by city hotel room tax and receives 52.5 % of the room tax collected by the City of Janesville with the remainder going into the city's general fund. Can JACVB Help Your Organization? The JACVB can help you bring a conference or event to Janesville by helping organize, make a bid presentation, furnishing supplies, nametags, and a tradeshow booth, and can provide volunteers to help with registration and questions. There is a Tourism Marketing Fund Grant program available to qualifying events. The JACVB can also help to promote your event through our printed calendar of events, JACVB website, weekly radio show and Wisconsin tourism websites. 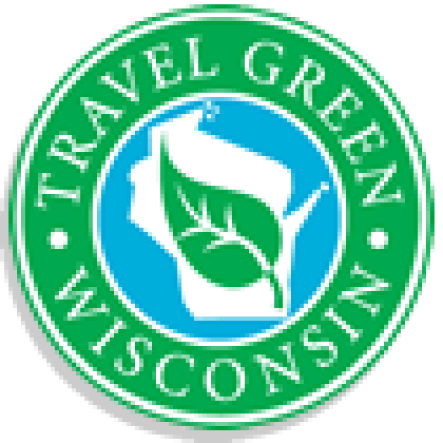 As a Travel Green certified business, we have made a commitment to reducing our environmental impact.